If you are new to homemade DIY gift giving then today’s simple Christmas gift might be just what you need for the inspiration to try it out. 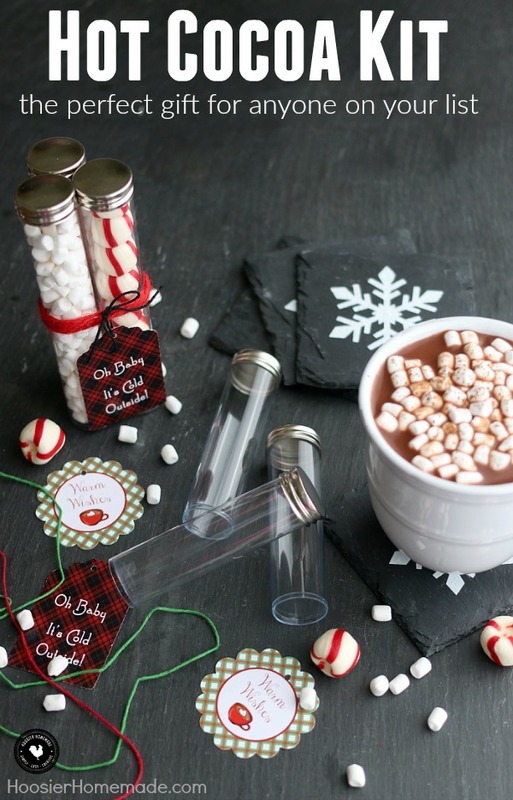 These adorable Hot Cocoa Kits are easy to make, require very little crafting skill and could be made with the kids for all their teachers. In fact, I think that’s exactly what we’ll be doing over here! 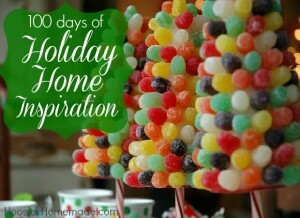 100 Days of Homemade Holiday Inspiration continues with Day 50! Each day we are inspiring you with recipes, decorating ideas, crafts, homemade gift ideas and much more! Bottles or Tubes– you can purchase the tubes with metal caps like the original post on Amazon! These are just perfect! And they could be paired nicely with the a holiday mug. Give these out this holiday season or even on into January as a middle of winter pick-me-up! 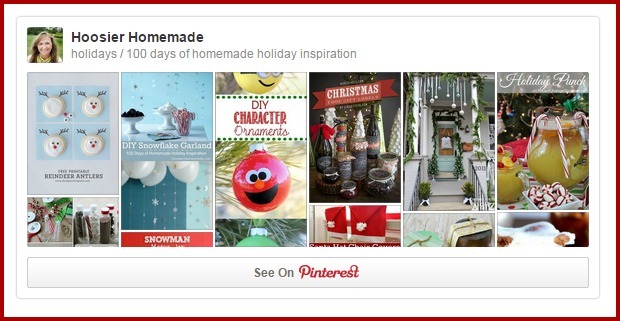 For more Holiday Inspiration – follow our 100 Days of Homemade Holiday Inspiration Board! Skylar I checked that out for you and 2 packets fill the tubes. Thank you so much! One more question, though ( 🙂 ! ), how big/small should the cut candy canes be? Thanks! Hi Skylar, the size of the candy canes will depend on the size of the bottle or tube. You can crush them or leave them whole. The candy cane sticks we used were about 3 inches long. Where can I find the bottles???? Hi! I think I’ve found a site where I can order the original tubes you used initially. Could you tell me the height and diameter of the tubes you used with the gold screw top lids? Thanks so much! 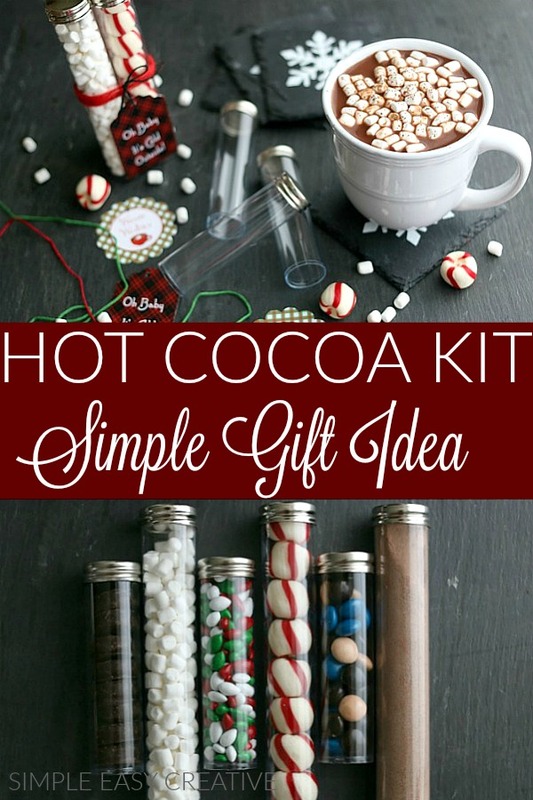 hoq can I get the instructions for the hot cocoa mix in the bottles. I looked on Facebook and I couldn’t find out the exact instructions. Help please! I absolutely love this idea! I’m definitely going to use it this year–thanks! Where can you buy the tubes at? Hi there-I’m not seeing the details of where to buy or anything…just that you’d changed the post so people would know it? Am I missing a link to the details? I can’t find where you listed the source to find the tubes for the Hot Chocolate Kits. They are just so cute!! Hi Linda, here are the directions > https://hoosierhomemade.com/creative-gift-ideas-for-christmas/ It tells about the tubes.